TravStar1 Point Of Sale SystemRegister Manual Basic Register TransactionsHow Do I Process A Transaction If The Customer Is Using A Coupon? 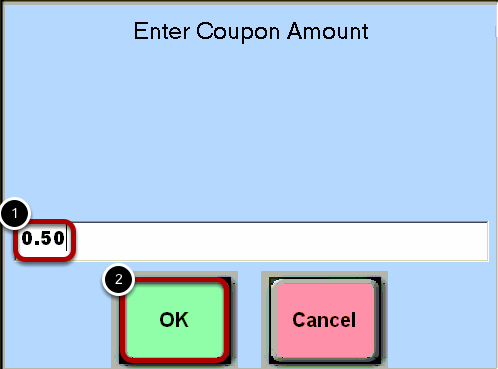 How Do I Process A Transaction If The Customer Is Using A Coupon? 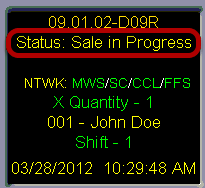 This lesson will teach you how to tender a transaction when the customer is using a coupon. 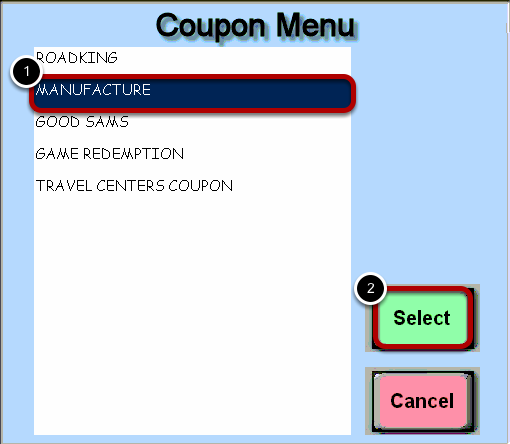 Touch the "Coupon Menu" button. (1) Touch the coupon type that the customer is using. 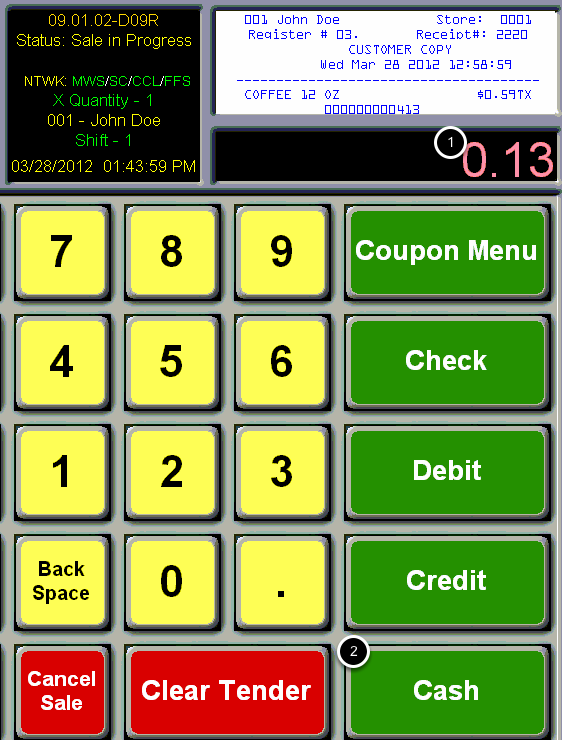 (1) Enter the dollar value of the coupon by using the number pad on the keyboard. In this example, the coupon is worth fifty cents. Be sure to include a decimal point. (1) The coupon amount shows up as an Amount Tendered. (2) There is still an Amount Due of 13 cents. Typically, a coupon will not cover the entire amount of the transaction and you will need to tender the remaining balance using another form of payment. 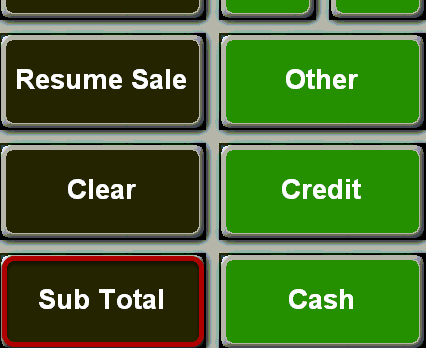 Prev: How Do I Process A Transaction If The Customer Is Paying With A Check? Next: How Do I Charge A Transaction To A House Account If I Know The Customer's Account Number?